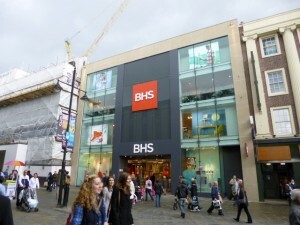 Given my extensive coverage of the build up to Newcastle’s new BHS store in Northumberland Street, you won’t be surprised to learn that I’ve paid a couple of visits since it opened its doors on 19 April. So, what’s it like? From the outside, it’s hard to be anything but impressed. 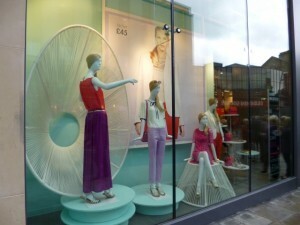 The new glazed frontage is striking and modern, and has the advantage of allowing views into the shop – including of the well-located second-floor restaurant – as well as providing some great display spaces. 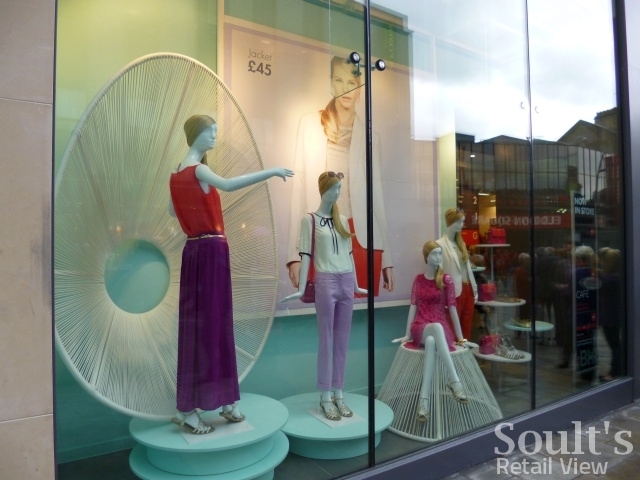 The ground-floor windows of older BHS stores often seem to be filled with posters, so here it’s nice to see the product doing the talking as part of a display that’s both eyecatching and elegant. Inside the store, the attention to detail continues in the product presentation, signage, overall environment, and even the staff uniforms. 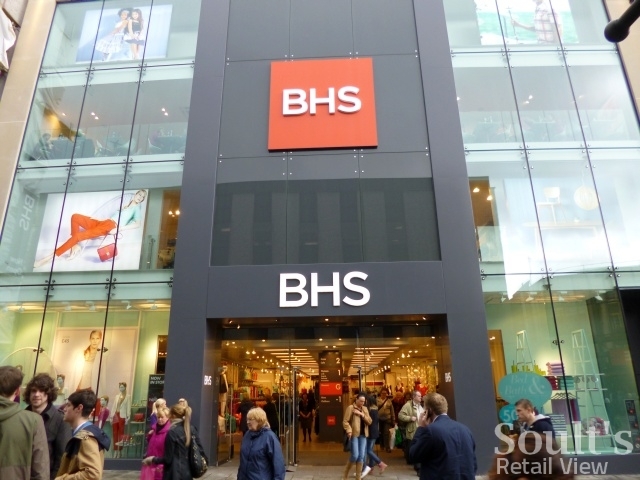 Everything looks modern and fresh, and the configuration of the store – over four levels, each much smaller than in a traditional BHS store – creates a welcome boutiquey feel. It’s all worlds away from the ‘beige hangar chic’ of the old Newcastle store a couple of doors away, and is also a vast improvement on the dark, cluttered feel of the Next store that used to occupy the site. It’s just a shame that the menswear department, on the lower-ground floor, gets a bit of a raw deal as far as space is concerned, and seems to prioritise the chain’s slightly more formal, M&S-esque labels – like Jack Reid and Atlantic Bay – over the younger and trendier Trait. Instore terminals do allow items from the full BHS range to be ordered and collected, but I wonder whether standalone Trait stores could complement BHS’s instore range, and potentially extend the brand’s reach? One downside of the layout, too, is that moving around the store can be a challenge – particularly when it’s busy, as it was when I visited. Escalators connect all the floors, but these are deliberately configured to make you pass through the shop at each level. That’s fine, but it does make it quite an effort to get from menswear in the basement to homewares and the restaurant on the second floor, unless you’re prepared to wait for the lift, of course. 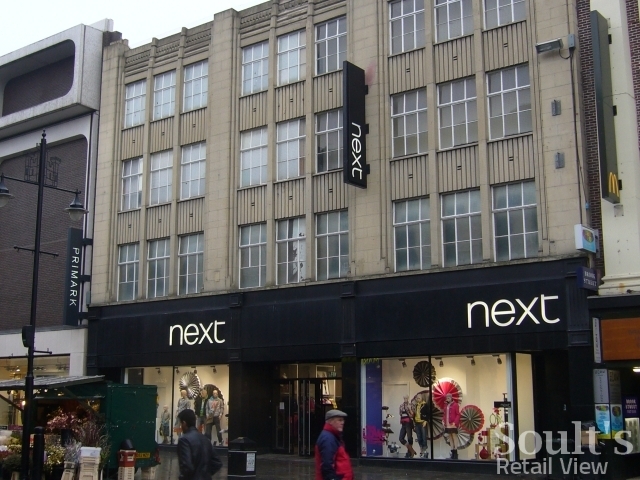 On the top floor, the BHS restaurant seems to have quickly become one of the places to eat in Newcastle – it was completely full when I visited at lunchtime on the day after opening, and was not much quieter when I popped in a weekend or two later. I reckon I’ll have to go in for a coffee at 9 in the morning if I’m to experience one of the prized window seats with their great views over Northumberland Street – or maybe at 7.30 at night, given that the store is open until 8pm every weeknight as part of Newcastle NE1’s Alive After Five initiative. Sadly, one area that doesn’t seem to have improved from the old store is the customer service. Perhaps I was just unlucky again, but my experience at the checkout in the homewares department was similar to the one I reported on way back in March 2010: this time, the guy at the till insisted on chatting to his colleague all the time he was serving me. 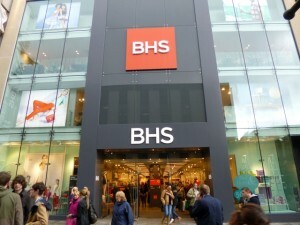 BHS is far from the only culprit – a similar experience in Newcastle’s now-closed Peacocks springs to mind – but a customer at the till shouldn’t feel like they have to jump up and down, wave their arms around, and shout “Helloooo! Look! I’m here!” while the member of staff continues their more interesting conversation elsewhere. Niggles aside, however, there’s no doubt that Newcastle’s new BHS is a vastly superior store to the dreary and sprawling one that it replaced. 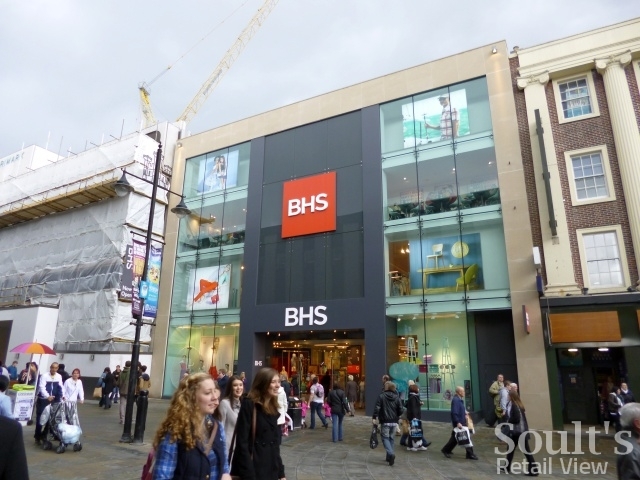 They key test now will be to not only maintain the standard in Newcastle, but to find a way of making it scalable – quickly and viably – across the rest of the BHS estate.